Whether you are just returning to work, have just moved into the area, or would simply like your child to mix with his/her peers, thank you for considering Little Gemz. We are committed to working in partnership with Parents and Guardians when providing for the needs of the children in our care. We will be setting up a mini Parent Partner Association (PPA) which will enable parents to have their say on the activities and education within the nursery. The PPA will comprise of not only parents but staff members and management. We are very strict on security at Little Gemz. All our external doors are locked and outdoor play areas fenced off. Our car park and main front door are shadowed by CCTV cameras. Our premises will be fully inspected and registered by OFSTED who will continue to monitor our standards. This is only a brief description of Little Gemz; if you wish to know more about us, or would like to visit the nursery, please do not hesitate to contact myself or one of our team. Please note for continuity of care and education we operate a policy of a minimum of 2 days. This must be booked and paid for in advance. Below are the latest reviews for mandysalt. Please note that reviews represent the subjective opinions of other Childcare.co.uk users and not of Childcare.co.uk. Parents must carry out their own checks and references on childcare providers to ensure that they are completely happy before enaging in the use of their services. I called to arrange a possible booking and viewing for my son for every Monday. They told me they wouldn’t do one day a week over the phone. I then received a message via the website from the nursery, which was intended for someone else. Then a second message from them to apologise for the first message, as they had copied and pasted it. I replied saying that I had tried to call them to look at availability for my son, but they refused to allow him to attend one day a week. The reply I got was, that a child would not benefit for one day a week and it can be very unsettling for them. I’m a single parent, finishing my maternity leave to go and work 2 days a week. I have a family member to take him for one day so I needed childcare for the 2nd day. Only to be told it isn’t going to benefit him and it will be quite unsettling. I feel awful enough having to leave my baby to go to work enough as it is. What am I to do. 2x5 hour sessions isn’t good enough because I’ll be at work for 8 hours. Now I’m doubting to go back to work. I don’t want my son to feel like that. Thank for making me feel a rubbish parent ! 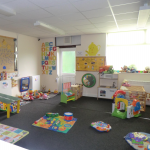 The intention wasn't to make you feel that way we appologise however nursery policy is written for the benefit of the child and their learning journey through the nursery until it's time to go to school. School readiness is what we aim for so that every child leaves us ready for that next step., part of that is continuity and routine thats why we ask for more than 1 day or 1 session and I call everyone hun so if this offends then I apologise.